A few months ago, I was asked to write a guest post for another blog. I felt quite honored and I realized I’d like to start honoring other bloggers here on my piece of the internet. 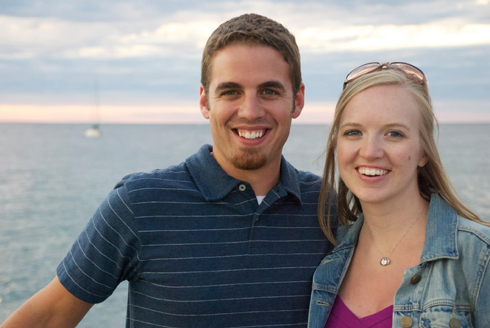 Krysta and Dan became foster parents in 2010. Since then they have fostered several children, adopted their two sons and welcomed a daughter by birth. Their sons joined their family at ages 3 and 4. They found out about foster care by listening to the Foster Parenting Podcast (www.fosterpodcast.com) and have shared some of their story there as well. There are lots of orphans and adoptees in movies and television. I think you notice it even more when you have kids in your home who come from these types of backgrounds. Though I realize it is silly to expect an accurate representation of real life from television it is always nice when they get it (kind of) right. For the past two seasons, I’ve been wrapped up in Julia and Joel’s attempt to adopt a child (first seeking a baby but then an older child, Victor) on the show, Parenthood. NBC didn’t do the plotline any justice by making it a short season for the show but I thought they did a decent job of showing the ups-and-downs of older child adoption. Those of us who have been there know the ups-and-downs last alot longer (and even come back when you least expect them). The victories are so sweet. The downtimes are so discouraging. Julia really struggled toward the end of the season with whether finalizing Victor’s adoption was the right thing to do – fearing for herself, her marriage, her daughter and for Victor. All these fears are totally legitimate and real. Even though they are not real people, I wanted to send them a copy of The Connected Child. I wanted to encourage them to talk with Victor more about his biological mom and provide him with ways to stay connected with his culture and history. I wanted Julia to cut herself and Victor some slack. I’ve learned that it takes time to feel like a family. It takes time to love and be loved the way you hope for but it is possible. Watching the season finale and Victor’s adoption finalization scene made me so reminiscent of the day back in 2011 when we promised to take care of our boys forever. Long before this day, we knew in our hearts they were ours and that we would never leave them but making it official was a beautiful thing. Even though the Bravermans are not real, I hope families can take a cue from their behavior at the finalization. In Victor’s hearing, members of the family spoke up and affirmed him as a full member of the family. They promised to love him, tease him, teach him and include him. We know that kids who come from hard-places will seem like they are fighting against being loved. At times, it will seem impossible. It will seem like it is getting worse. There are certainly situations where extensive therapy is needed. It is not easy but it is so worth it. This entry was posted on Monday, February 4th, 2013 at 6:00 am and is filed under Family, Family: Adoption, Family: Foster Parenting. You can follow any responses to this entry through the RSS 2.0 feed. You can skip to the end and leave a response. Pinging is currently not allowed.